Home Africa	Where is Morocco? Exotic and intriguing, Morocco is a country that is filled with history and culture. The gateway to Northern Africa, it is a destination that has been shaped and influenced by countless religions, empires and cultures over time, leading it to become a part of the world that is quite unlike any other. Bordering the North Atlantic Ocean and the Mediterranean Sea, Morocco is country situated on Northern Africa’s western coast. Surrounded by Algeria and the Western Sahara, Morocco is also just a short distance from Spain, located on the other side of the Gibraltar Strait to the popular European destination. Positioned so close to Europe, as well as its African neighbours, Morocco is a country that has drawn influences from all around, resulting in a culture that is very much its own. 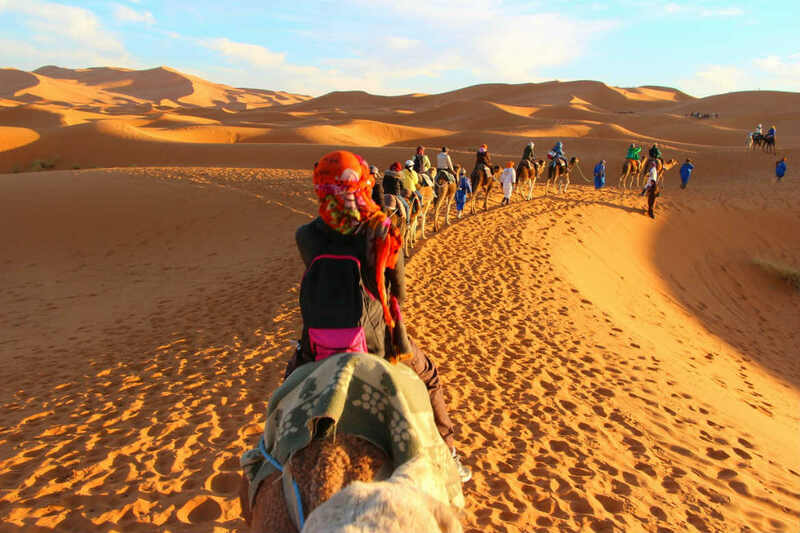 Morocco is divided into six very different regions, including Mediterranean Morocco, the North Atlantic Coast, the South Atlantic Coast, the High Atlas, the Middle Atlas and Saharan Morocco, with each offering an array of different experiences and landscapes to explore. From sweeping sand dunes and impressive mountain peaks through to spectacular stretches of coastline, Morocco certainly isn’t short of breathtaking natural beauty. 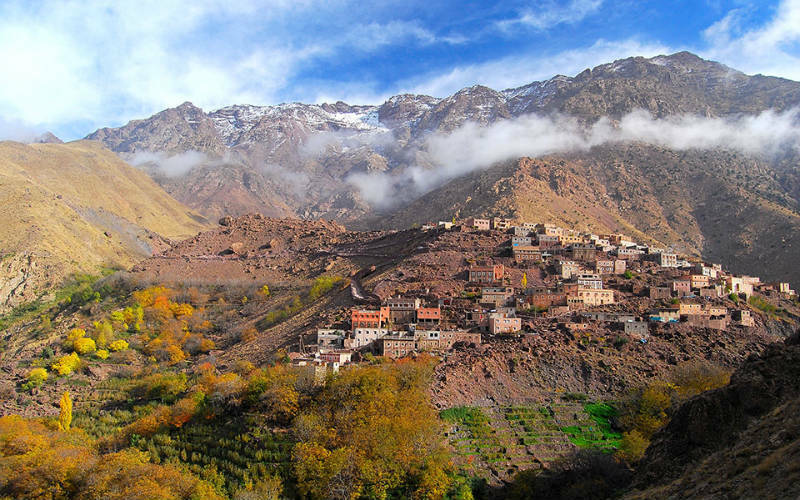 High Atlas Mountains, Morocco. Image Credit: Nouari0 / CC by SA 3.0. 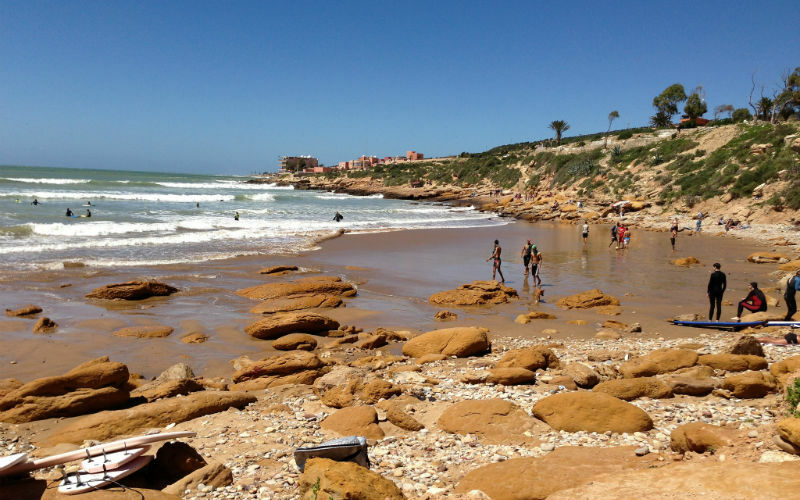 Home to such an incredible mix of landscapes, including deserts, mountains and long stretches of coastline, the weather and temperatures experienced across Morocco can vary greatly depending on where and when you are planning to visit. The best time to visit falls within spring (March, April and May) and autumn (September, October and November), when temperatures are more comfortable and the weather is more favourable. The country’s coastal regions are great to visit at almost any time of year, while the seasons may affect travel to other parts of the country. As a general rule of thumb, it is best to avoid the country’s desert regions at the height of summer (June, July and August) and after nightfall in winter (December, January and December), while it also recommended that you visit the Atlas Mountains outside of the winter season. Taghazout, Morocco. Image Credit: Heather Cowper / CC by 2.0. If you’re set to enjoy just a short stay in Morocco, it’ll likely be more convenient for you to visit some of the country’s most popular cities and best known attractions. Offering a great introduction into the local history, culture and way of life, Morocco’s largest cities, including Marrakech, Casablanca, Rabat and Fes, all offer a slightly different impression of the country, whether it happens to be because of their location or their own unique heritage. The starting point for most travellers arriving in the country by air, Casablanca, Morocco’s largest city, is a part of the country that is currently undergoing rapid change. Today, traditional Moroccan and French colonial buildings stand alongside modern structures, while thriving arts, culture and dining scenes continue to grow. 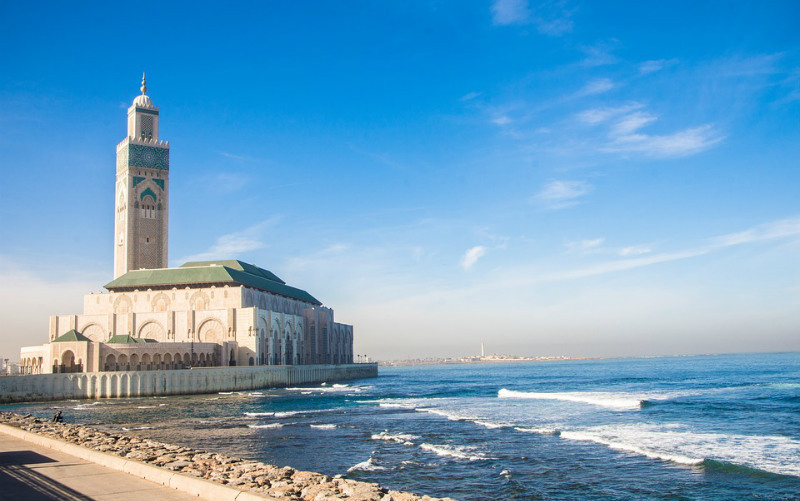 Immortalised by the film of the same name, Casablanca boasts plenty of great attractions, including the ornate Hassan II Mosque, a beautiful place of worship constructed through the late 1980s and early 1990s. Hassan II Mosque, Casablanca, Morocco. Although much smaller than some of the country’s other cities, Rabat happens to be Morocco’s capital and boasts a few impressive landmarks, including the historic Rabat Medina and Chellah, a settlement that has stood for more than 2,000 years. 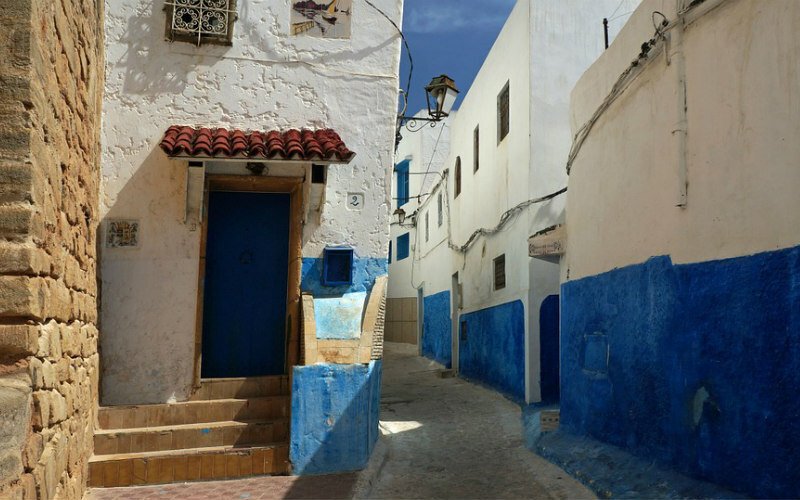 Located close to the city’s centre, the Oudaias Kasbah, filled with laneways of blue and white houses, is another local sight that is well worth discovering. Less well known than the old towns of Marrakech and Fes, the neighbourhood sees fewer international visitors than its counterparts, making it the perfect place to unwind and enjoy an afternoon of exploration. The country’s former capital, Fes is one of the world’s largest and oldest medieval cities, with a large portion of its population still living within the boundaries of Fes el Bali, a walled section of the city that was founded at the end of the 8th century. Holding on to a number of its traditions, it’s a city that is a true feast for the senses, with lively markets, historic buildings and fragrant produce creating sights and smells that you’ll undoubtedly remember for the rest of your life. 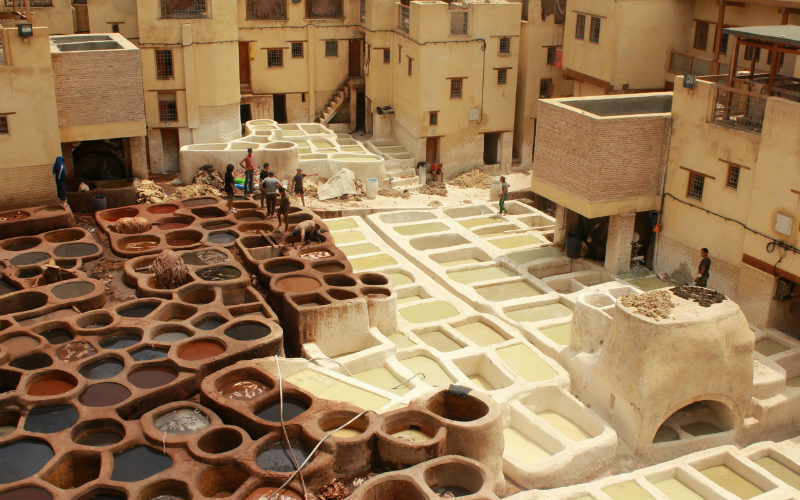 Spend time exploring the city’s streets and different neighbourhoods, including top attractions such as Medersa Bou Inania (a theological college) and the Chaouwara tanneries. Combining the best of traditional and modern Morocco, Marrakech is the place to head if you’re looking to surround yourself in what it is that makes this part of the world so special. 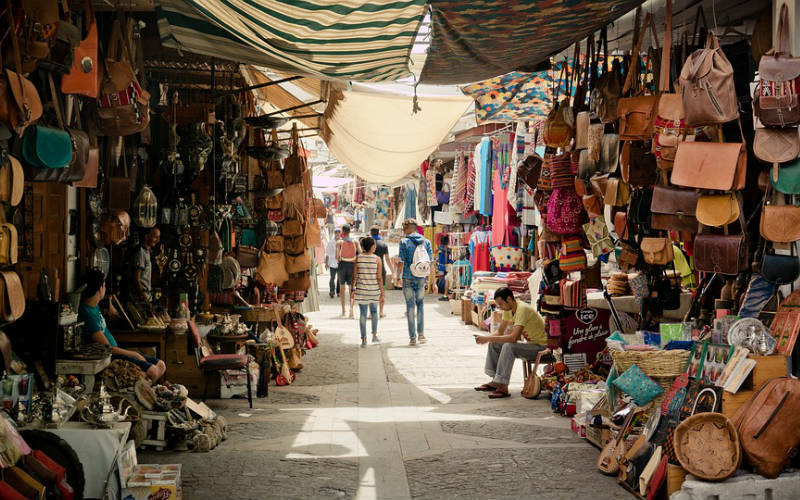 Spend time browsing the stalls of the city’s central souqs, where fragrant spices, delicious fresh food and all manner of hand crafted items combine to leave your senses well and truly in awe, or take some time to discover the Islamic and Jewish heritage that peppers the city. Whether you’re more interested in the local culture or people and events that have helped to shape the city, you’ll certainly be spoilt for choice in Marrakech. If you happen to be able to enjoy the luxury of a longer visit, there are so many different sides of the country that are just waiting to be discovered, from it’s coastal locales through to the seemingly endless expanses of the Sahara Desert. Consider heading off the beaten track and exploring traditional villages, intriguing ruins dating back thousands of years and some of the country’s captivating examples of natural beauty, from spectacular peaks through to the richly coloured sand dunes situated in the country’s east. Immerse yourself in the local culture, encounter spectacular sights and learn more about this spectacular corner of the globe. Ready to discover the beauty and culture of Morocco? 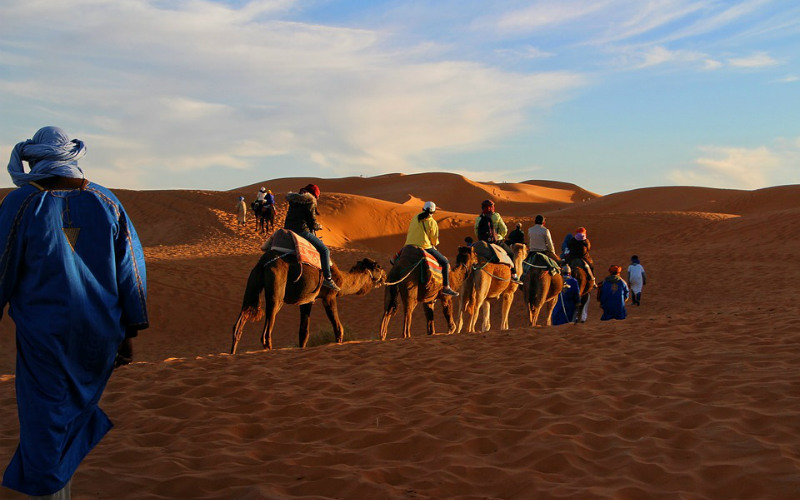 Browse through the latest Morocco tours available from Webjet Exclusives today!